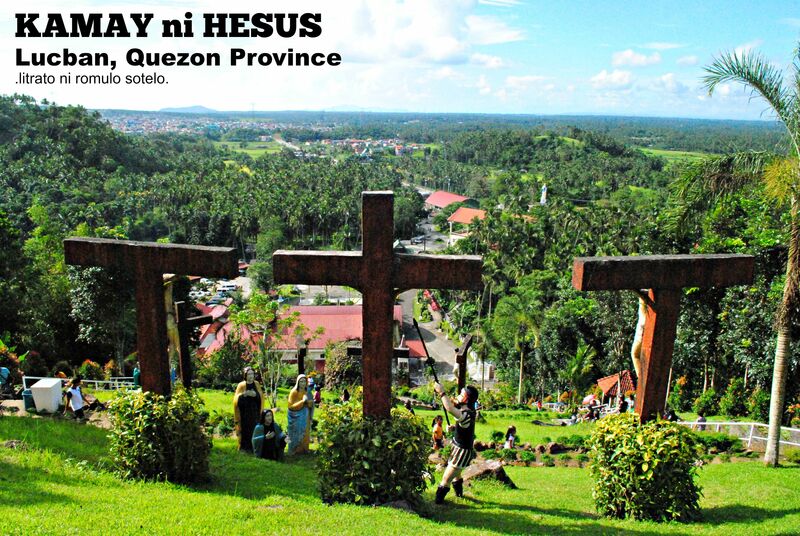 Kamay Ni Hesus Shrine in Lucban Quezon is one of the most admired and visited pilgrimage destinations in Luzon, Philippines. 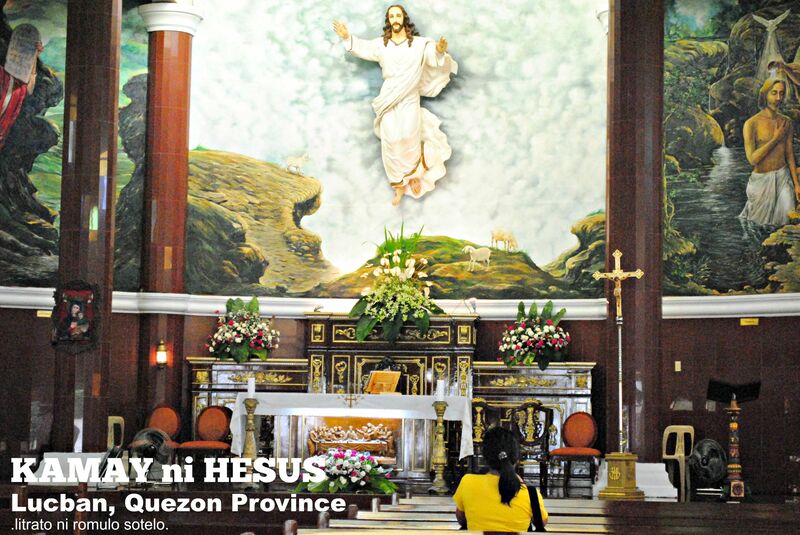 Located in the province of Quezon, this healing center was built under the initiative of Father Joseph Ayala Faller. The Kamay ni Hesus (Hand of Jesus) Shrine is a 5-hectare religious complex that features a grotto that requires 300+ steps to reach the 50-foot statue of resurrected Christ on top of a hill; it houses a convent-like building for various religious activities, a chapel, a replica of the Noah’s Ark, a representation of the Garden of Eden, a great number of life size statues of saints, TheVirgin Mary and Jesus Christ. 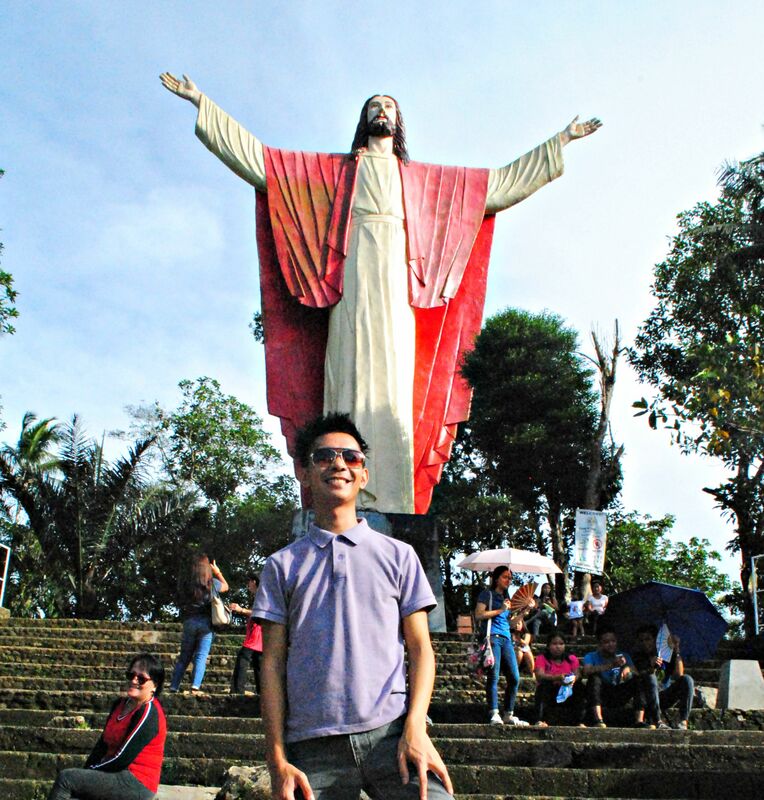 At the backdrop is the towering and mystical Mount Banahaw, considered as a sacred ground from among pilgrims.. The place also houses several small restaurants that offer well-known Lucban delicacies likes pansit habhab and lucban longganisa. A line of souvenir shops can also be found. Being a place of worship and spirituality, masses are held every day with a special healing mass during Wednesday and Saturday. For the complete mass schedule, check it below. From Manila, ride a bus bound for Lucena (buses can be found along Cubao, and Pasay). 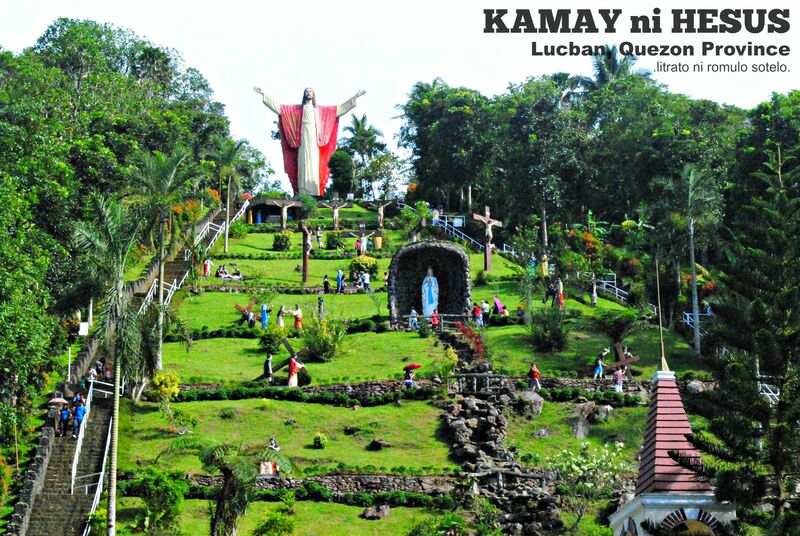 Once in Lucena Grand Terminal, ride a jeepney to Lucban. Inform the driver to drop you off at Kamay Ni Hesus Shrine. Blogged about this too several years ago. 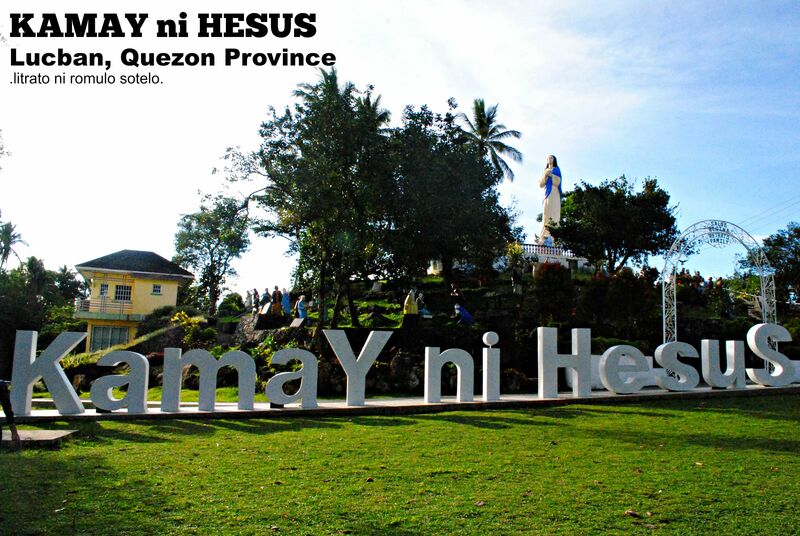 Have you been to Regina RICA in Tanay? It’s one of the places that I want to visit again. Hi po! Opo, I’ve been to Regina RICA po. So beautiful po. You have to go and see it po. We’ve been there last January 2012. The chapel on the hill back then was still under construction. I am pretty sure you will.